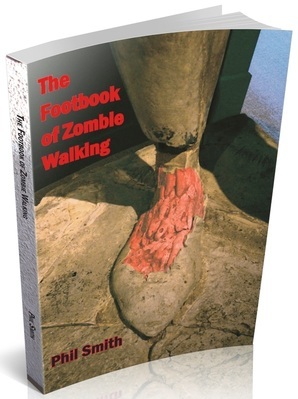 "I do have to mention here a book by Dr Phil Smith: “The Footbook of Zombie Walking”. It recommends walking through the world as though a slow apocalypse is occurring and there might be a zombie around every corner. It changes things: life is suddenly full of possibilities. If there’s a zombie around the next corner, there might be a politician ready to really welcome refugees or reverse all the Pay As You Go decisions about university education. It’s very uplifting for a book about the apocalypse." "The journey through the landscape is explored through the myth and tropes of the Zombie. But rather than this being an exploration of elaborate Zombie role play (which I was expecting) it becomes something far more eye-opening, spiritual and ultimately moving. The book uses a structure that those of us familiar with Phil Smith’s work will recognise: observation, italicised records of discoveries, suggestions for exercises to enhance your dérives and academic cross-referencing between discoveries on the walk and his own extensive knowledge. However, owing to the focus of the book being on the Zombie, it delves into very strange and enlightening territory. For some, Zombie movies are revolting excesses of gore and violence, they appear repetitive and often cheap, they revel in death and decay, and they celebrate the post-apocalyptic life. For others the films appeal for the exact same reasons. The Zombie film is about rebirth. The rebirth of the landscape, the body and the mind. 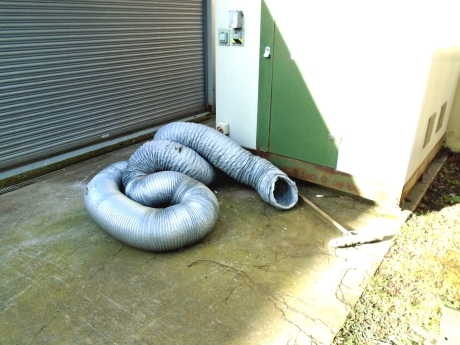 It is this notion of starting again - of our overly familiar environment becoming a brand new place of unexpected possibility – of our own minds and bodies being agents and vessels of this change - that appeals to us. Walking and Zombies might not seem well-matched bedfellows but on reading this book I am surprised that this has not been covered before. The majority of Zombie films contain more walking and landscape than Peter Jackson’s Hobbit and Lord of the Rings trilogies combined. Zombies can only walk and the survivors, with defunct technology all around them, are forced to do the same. The Zombies see a world full of possibility and food and the survivors see a ravaged shell, full of danger. Both parties are invigorated and changed by the transformation of their world. Phil Smith enables us to see our own world through these eyes. ... Zombie films are about transformation. Primarily two things are transformed: the body and the landscape. The book acts as a guide to how we can engage with landscape, community and our own selves in a different way. The Zombie’s shambling gait is a portal to new experiences and ways of seeing. The Footbook of Zombie Walking revises our view of the Zombie, but, strangely and movingly for such a fearful and stupid creature, it allows the Zombie to guide us into a new way of living. This is Zen and the Art of Motorcycle Maintenance for the post-millennial generation – we can find enlightenment through the Zombie in much the same way that Pirsig finds it through embracing the mechanical. ...Embrace your inner Zombie and see the world anew. Seek it out. Consume. Stumble. Groan. See the familiar as though it is new." “Nevertheless, it must be emphasized that these comments are not meant to dismiss or disparage Footbook, for it offers much that can be savored and enjoyed. Smith is well-informed and clearly loves his subject, and his exercises and suggestions can be stimulating. In addition,many of Smith's theoretical, zombie-centric discussions are quite lively. "It’s easier to think of the end of the world as we know it in terms of a zombie apocalypse than, say, the effects of global warming, a nuclear error, a mutant strain of influenza - or Ebola - or the Third World War. I mean, zombies aren’t real. In those terms, a global apocalypse is just fantasy. We can scare ourselves silly watching horror films, knowing that the world out there isn’t over-run by shambling undead out to eat our brains and turn us into the thing we fear. Except that the world isn’t safe, is it? We only have to turn on the telly to see that all over the globe people are seeing the world they know end. Survivors flee from war zones, are made homeless by rising tides, see their loved ones killed in famines and epidemics. And terrorist attacks make us look at those around us with suspicion – are they like us or are they the other, the threat that will destroy us? A new book by Phil Smith aims to take us just a little further along that path of exploration. It is called The Footbook of Zombie Walking: How to be More Than a Survivor in an Apocalypse. ... As well as offering a critique and analysis of the themes and plots in a huge range of zombie films and fiction, he describes ways of going outside and interacting with the landscape by viewing it as if we were in such a plot. The easiest way is to simply imagine you are a survivor. I tried this on my regular commute to work on a weekday morning. I looked around at my fellow travellers. Trust me, most of them were zombies. It was scary. From there you can, of course, explore being a zombie, but you can go further still. Zombie walking can become a sort of meditation or form of mindfulness. It can be liberating and consciousness changing. It can show us how to face our fears which, as many spiritual and magical paths teach, is the best way to overcome them."